My hat ist a gift from Fate for the Wizarding Fair. The Candy Fair ends tomorrow October 18th at midnight slt so this is your last chance to get there , visit the three overwhelming Candy Fair Sims and grab as much candy as you can carry. So this is my last post for this candy fair and i want to thank all the great designer, the candyfair managers and all other bloggers for the great time, cuz i had so much fun, not only at the fair, also on blogging and seriously i had the most fun in the group. Everybody there was so talkative and nice that i’m more than happy that i got the chance to be a part of this crew. 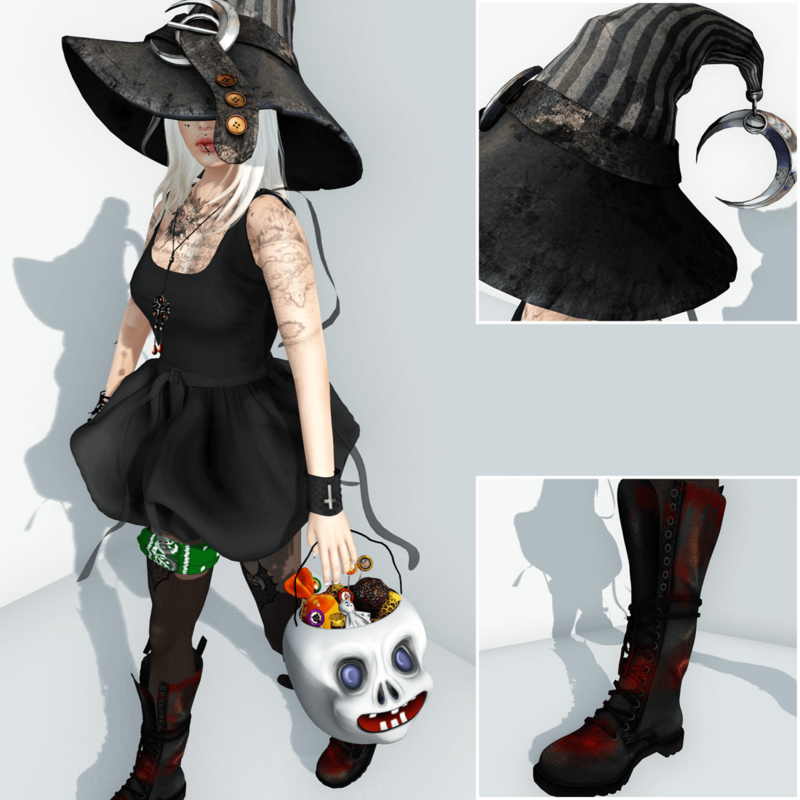 Fi*Friday is having a halloween hunt, join me as I showcase Liv Glam & Chop Zuey gifts! Posted in Body Parts, Clothing, Women. More pictures and credits at Rad Parmesan – Free Candy!